OUR 5th journey to Peru has been another beautiful adventure. 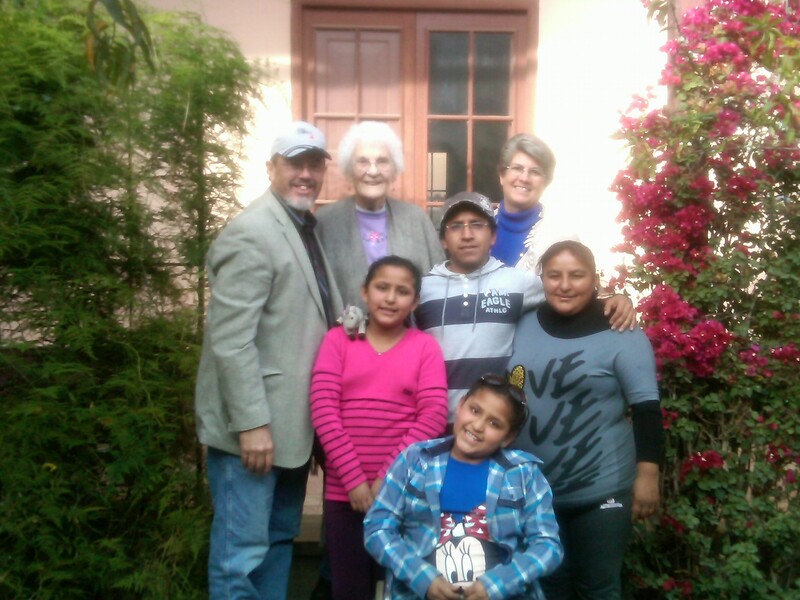 We could hardly wait to find out how our Dayana was coming along after surgery last July. Some of you may remember the story. Dayana and Dayan born twins in the first of May 2002. What a joy! 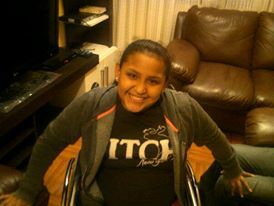 Then the doctors found inflammation on Dayana’s spine and thought it was a tumor. They did surgery that left her paralyzed from the waist down. For the next 7 years she was cared for by her devoted Mother, Father and Grandmother, carried everywhere. 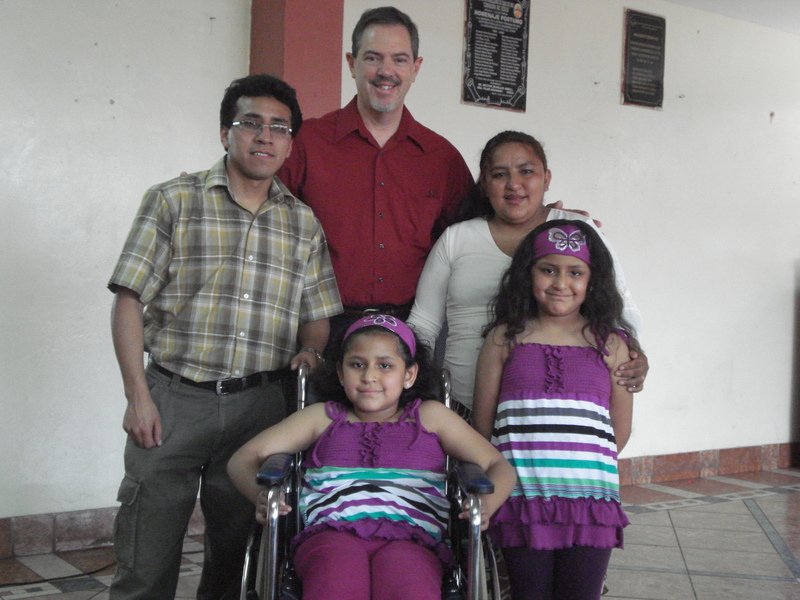 We met them in 2009 in Tarma at the Eben-ezer de iglesia as they brought her and laid her into my arms to pray for her. My heart was greatly touched. I watched the family in desperation to find her help. We later sat down and heard the story and the struggles of attending to a child in Peru with such limitations, they cried and cried in such hopelessness. I left Peru with Dayana in my heart. I asked myself this question why does she not have a wheel chair? 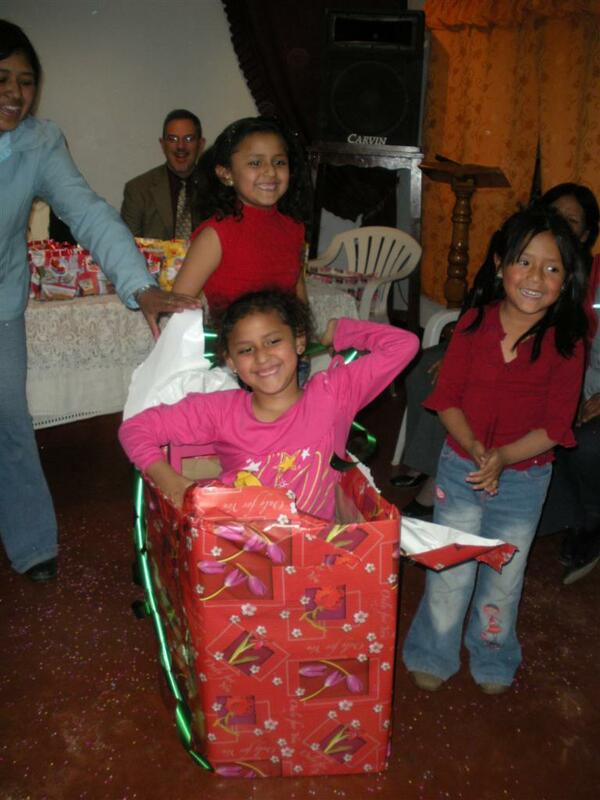 How do I get a wheel chair for a child in Peru? And so my search began. I asked my friend Mark Carson who is wheel chair bound since the 80’s from a car accident and he guided me to “wheels for the world”. Wheels for the World was great to work with, they walked me through the necessary information and I was able to get the forms to the family and what steps to take for this new freedom was now in the process. The chair was custom fit to Dayana’s size and our dear friends in Kansas picked it up for us and delivered it to our home. The next challenge was get it to Peru, when another special lady stepped up to pay. January of 2010 Chuck flew to Peru to deliver the chair. Chuck setting her in chair for first time. We had no idea what this simple act of kindness would do for this family. We just saw a need and worked to meet it. So what did it to for the family? It brought hope. It gave them a sense of the universal family and that someone cared about their difficulties enough to act. It lifted their eyes to new possibilities. Look at the size of Mother and daughter. then imagine carrying this child everywhere. They were constantly in search for answers and found them in their own back yard, Peru. A doctor was located; He does a special surgery to take cells from the inner skin cells of the belly area and inject them into the spine where the restriction was causing the paralysis. The doctor saw Dayana and said she is a candidate for this type of surgery and now after the surgery and seeing her progress said her recovery is expected to be complete. That she will walk. The day of the surgery as Dayana was being sedated she had a dream and heard a voice say to her “you will walk you, will run, this is a new beginning”. Her mother Alessandra was in the gift shop looking for something to give to Dayana after surgery. She found a balloon and decided to purchase it not knowing what it said as it was written in English. As the family gathered in the room after the surgery and the Doctor was there to explain how the surgery went; Dayana told them of the voice she heard and the doctor looked at the balloon and said “do you know what it says”? They said “no”. It read “This is a new beginning”! 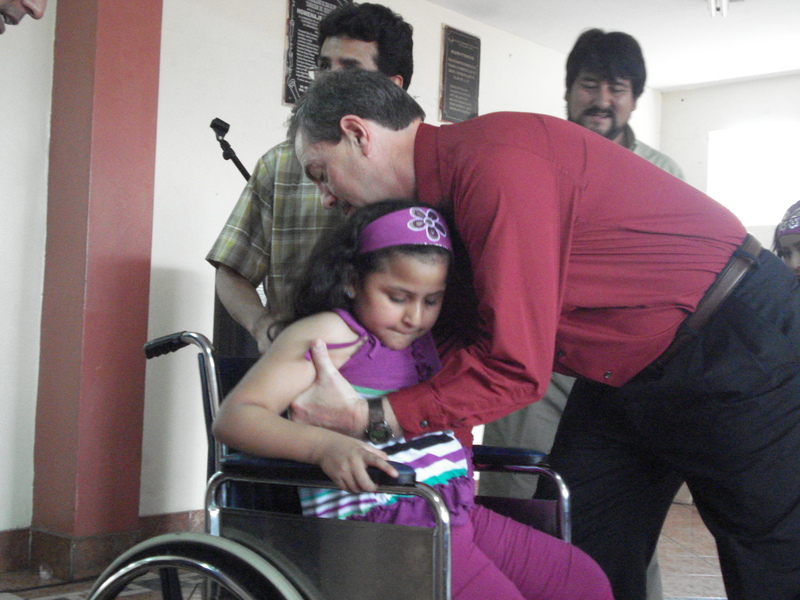 Within hours of the surgery Dayana had sensations in her legs for the first time of her memories. Tingling and pins and needles. Her legs were a purple color and always cold to the touch. They are now the same color as the rest of her beautiful tan body and warm to touch. The physical therapy is retraining her brain to move the muscles. We watched as she concentrated to lift her feet ever so slightly a once impossible movement until now. When she sleeps at night her legs kick and she moves around the bed, before surgery and therapy when put to bed she never moved at all, always in the same place from night to morning. Now when they tell the story there are tears of joy instead of tears of pain. Now there is hope! I hope to be able to get their stories in writing. For those of you who believed in a brighter future for Dayana we thank you for your contributions to help in the cost of the surgery. This entry was posted in Peru. Bookmark the permalink.